Whether you love hanging out in the kitchen, or view it as a necessary evil, we have six gadgets you’re going to want – like right now. 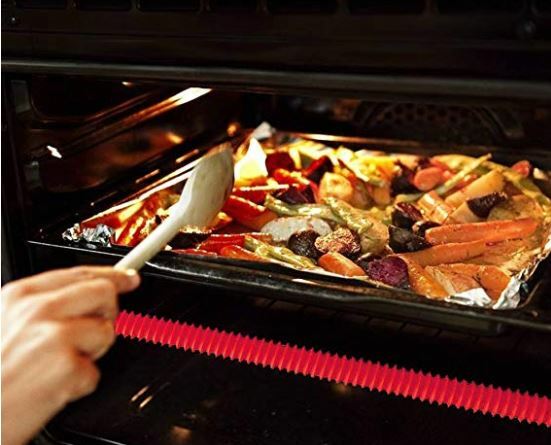 If you’ve ever burned yourself on an oven rack, you’ll love these silicone oven rack shields. They’re dishwasher safe too. $9.99 Amazon. 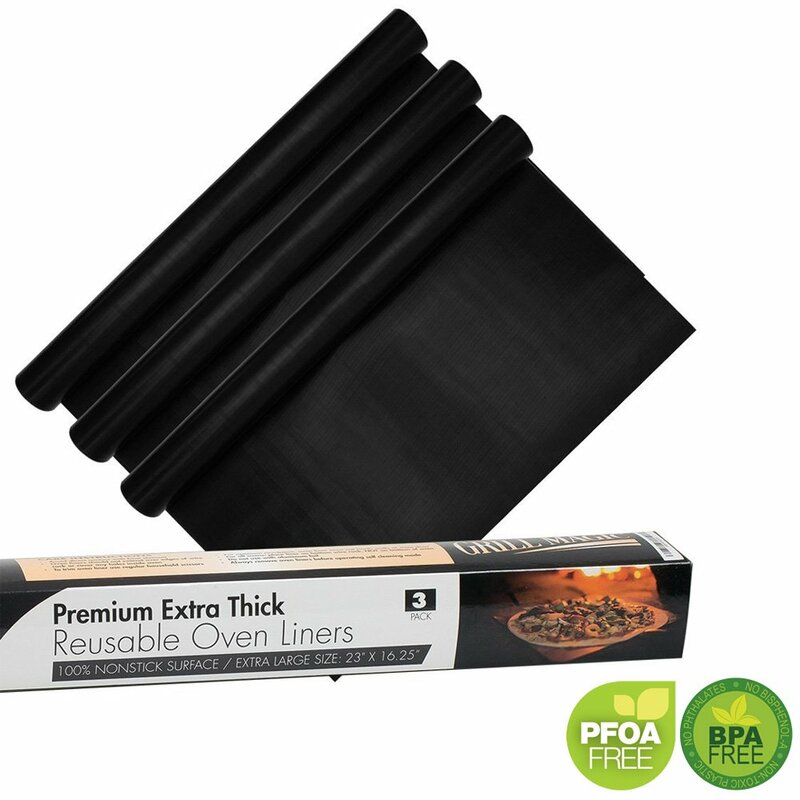 Oven spills are inevitable, but these heavy- duty non-stick oven lines protect the bottom of the oven and makes clean up easy. 3 for $11.99 Amazon. 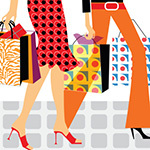 And yes, it’s worth the raves. 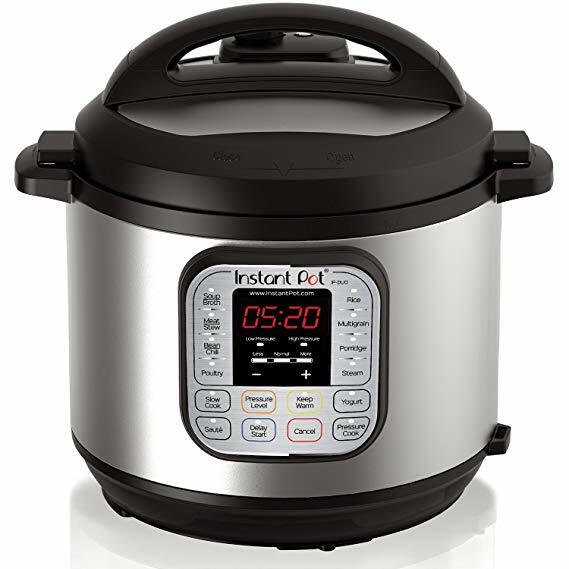 It’s a 7-in-1 Multi-Functional Cooker–Pressure Cooker, Slow Cooker, Rice Cooker, Saute/Browning, Yogurt Maker, Steamer & Warmer. Yep, pretty much does it all. $79.99 at Amazon. 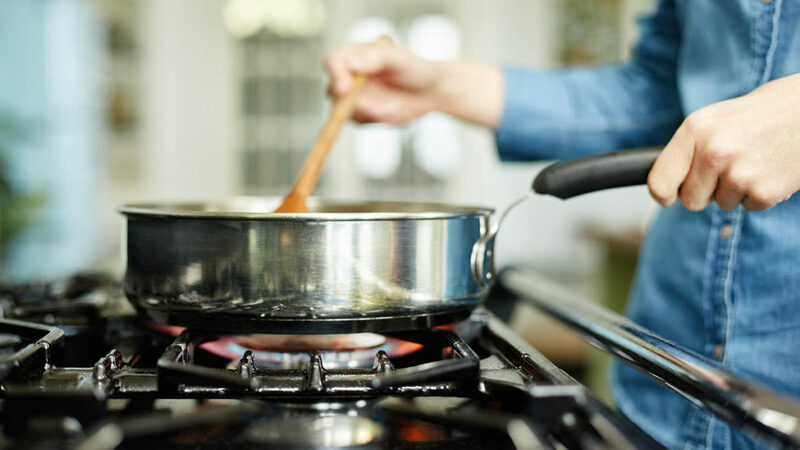 This brilliant little gadget (seen on Shark Tank) is the first ever splatter guard that combines uninterrupted protection with complete access to cooking surface, providing all the benefits of an uncovered pan without the mess. 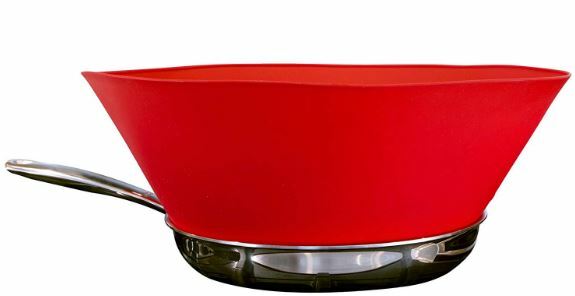 Completely blocks fine oil splatters; also prevents spillovers when sautéing lots of veggies and greens in overfull pan. $21.99 Amazon. 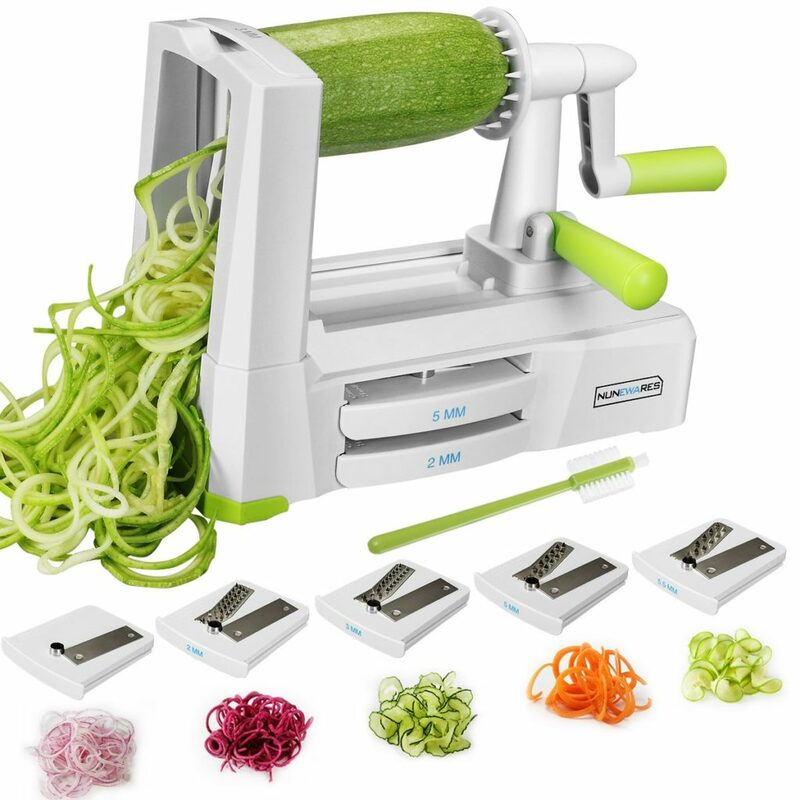 This is really a amazing kitchen gadget that turns vegetables and fruits into imaginative and low-carb dishes !! Perfect for making quick low cab, healthy veggie noodles from apples, beetroots, carrots, cucumbers, zucchinis, potatoes, turnips, onions and more!!! And it’s only $21.99 at Amazon. 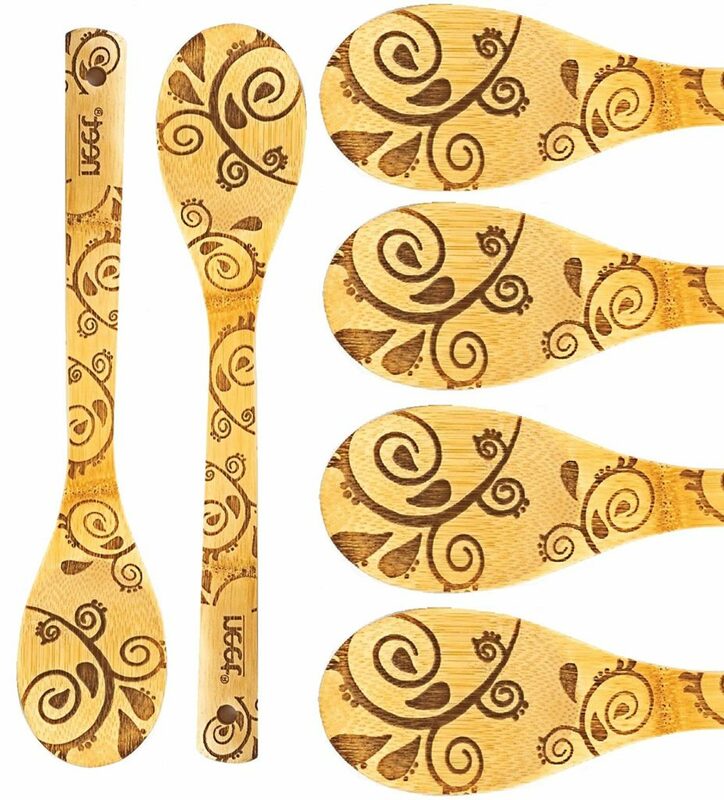 Up our kitchen style with this 6-piece bamboo spoons set. $12.99 Amazon.